Pages tagged "parents 4 pot"
Sacramento, CA – Parents 4 Pot, a non-profit mutual benefit organization based in California, has a clear mission to end cannabis prohibition policies that result in the destruction of families and decimate poor and minority communities. We are dismayed that the California Police Chiefs Association and the California League of Cities are using their lobbying muscle in Sacramento to create more crime and pad law enforcement budgets unnecessarily across the State. Their suggested amendments to the Senate Bill 1262 (SB1262) work to criminalize legal patient activities and cultivation practices in favor of criminal charges and more wasted revenues in law enforcement and court costs. It is amazing that nearly eighteen years after the passage of California’s historic Proposition 215 we are looking to make criminals out of patients. These groups have long undermined the legislative process with big budgets that seek to maintain the status quo. SB1262 looks to limit patient access to cannabis and create a burdensome licensing process orchestrated through local jurisdictions. This will pass the cost of regulation on to local communities, who are already struggling with limited budgets, and create an environment ripe for corruption. The State’s willingness to pass the buck and the costs of regulating this complex industry to local governments is unnecessary. It creates a pay to play opportunity in every city and county in the state. While local approval is always necessary, it is dangerous to allow municipalities to construct individual framework for how cannabis is to be distributed to qualified patents. The proposed timelines for implementation of this bill are unreasonable. If left to local governments to decide, they will take many months to accomplish. The system is set up to fail and ensure very few producers and providers of medicine are able to compete in the process. In turn, the many small batch producers of safe and effective medicine will be driven from the marketplace, which will result in increased black market activity. The process needs to be inclusive of the thousands of people who currently make a living providing quality cannabis medicines to hundreds of thousands of patients across the state. Through effective statewide regulations with fees based on actual size and scope of the operation, more small-batch producers could thrive in the same manner small grape farmers and micro-breweries succeed in a market dominated by large corporations. We also believe the restrictions placed on patients are unnecessary. SB 1262 will interfere with a patient’s choice of physician and manner of ingestion. It will also limit their choice and quality of medicine by creating a market of a few large producers. This will limit the market based on what is popular. It will not necessarily provide what is most medically effective for the wide variety of patients across the state, including patients who need CBD specific medicines. We demand that the bill that becomes law includes a comprehensive, affordable and fair distribution system for cannabis. The current watered down half-measure on the table creates more problems than solutions. We are organizing patient, parents, and providers to speak up against the current regulations being proposed. We are prepared to organize direct action protests against the bill if appropriate amendments are not made. As the walls of cannabis prohibition crumble across the country, it is up the State of California to lead the nation with the implementation of a regulatory model that ensures uniform public safety, promotes patient safety and access to cannabis. We hope legislators will consider a more comprehensive licensing system that can be implemented fairly across the State. There are too many people in jail for cannabis. This bill ensures that thousands more Californians and their families will fall victim to unjust and immoral policies. We need to stop overzealous law enforcement lobbying groups whose interests are based on greed and their motivation to continue to fight the failed war on drugs. It is time for lawmakers to demand that sensible statewide regulations be implemented in California’s medical cannabis program. SB 1262 in its current form does not accomplish that objective. It creates more criminal costs for our already bloated criminal justice system. The current proposal of SB 1262 can be found HERE. Become a Parents 4 Pot member today. Your membership fees will go to direct action campaigns to end cannabis prohibition in our community. All of our members will have access to our P4P newsletter and member only communications and events. We have developed different levels of commitment for those folks who want to do more and be more involved in growing the organization. P4P members commit to helping us fulfill our mission and objectives. By committing time, energy, and resources to this cause you can make a real difference in people's lives. We will be a vocal voice for change and use our resources to make the world a better place where we do not take our friends and family to jail for their choice to use cannabis. Help us make this a reality. 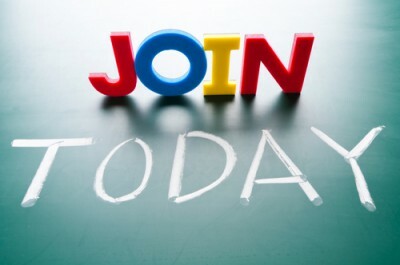 If you do not have money for a membership we do have options of ways you can contribute to earn your membership by contacting public officials and participating in online campaigns to raise awareness. Please email us at Parents4Pot@gmail.com with "Earn a Membership" as the subject and we will let you know how you can take actions to earn your P4P membership. We appreciate your support and look forward to seeing you in the streets, courts, and city council meetings fighting for cannabis freedoms. Thanks for all you do! 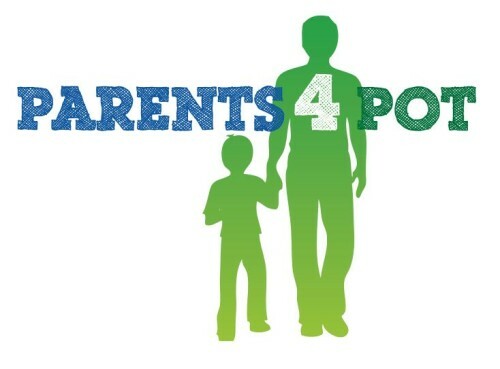 Donate to support Parents 4 Pot's mission!